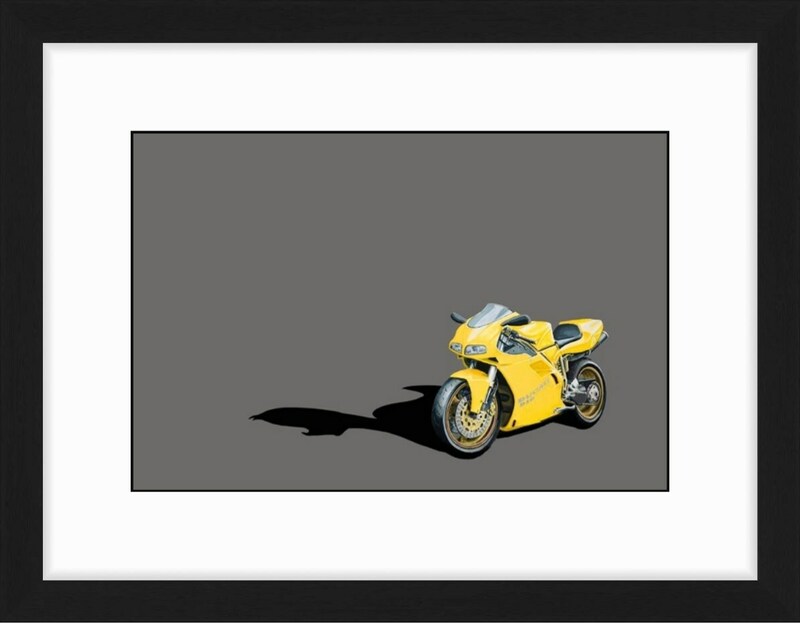 Danger and Play, Painting #1: Ducati 916 w/Rubber Duck Silhouette. 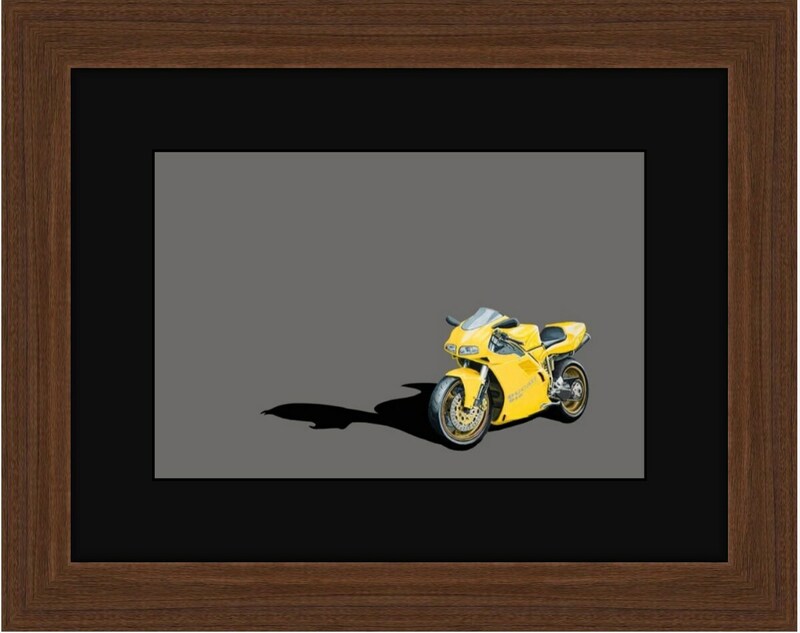 The original Acrylic-on-Canvas painting of this 916 was inspired by both the slang term for Ducati (Duck) and the more playful aspects of the bike. 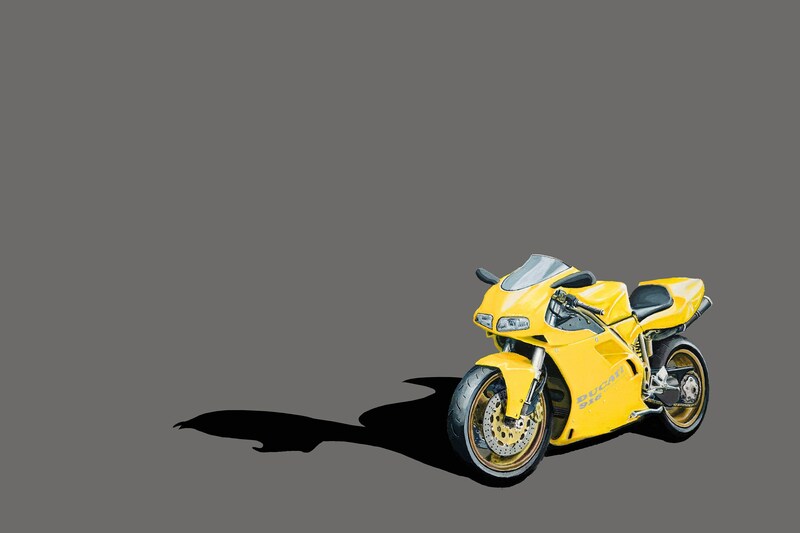 Performance capabilities of superbikes often overshadow their cheerful and lively personalities and in this series the artist wanted to capture the fun side of riding a Ducati. 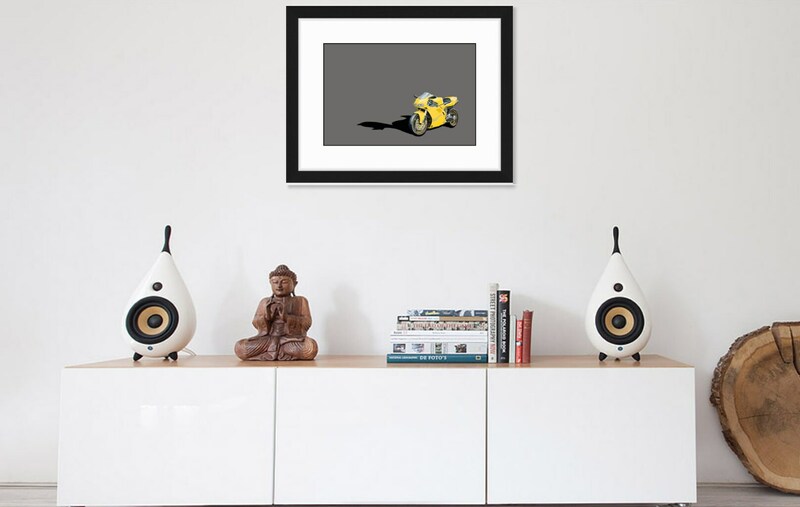 Poster prints are printed on Kodak Professional Endura Premier Lustre paper (Matte finish with slight sheen) using archival pigments that will last 100+ years. Poster prints require a few additional days for processing.